We found 0 results for memory care in Grenada, California. We have also included 2 results in surrounding areas. 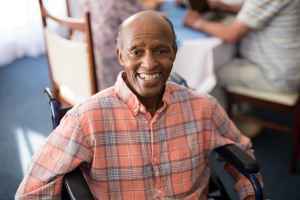 The mean cost per day of memory care in California is $181, with costs ranging between $48 and $435 per day. On a monthly basis, this equates to an average cost of $5,437, with costs ranging from around $1,431 to $13,050. The mean yearly cost is $65,250, which is over the US average of $60,900. Grenada is a small city in Siskiyou County, California. The surrounding area has 20,301,672 residents, but there are just 589 living in the city limits. The 55-and-over community makes up about 37% of the overall population. Grenada has a medium SeniorScore™ of 60. The city has an average per capita income of $24,000. The average household income is $32,000 in comparison to an average of $52,000 for the whole of California. The current unemployment rate is approximately 24.74% and the average home price is $276,000, which is significantly lower than the state average of $451,500. Grenada has harsh average temperatures, with bitterly cold winters and mildly warm summers. The area gets optimal amounts of rainfall each year. In relation to other cities, Grenada has average air quality ratings. To see information on the SeniorScore™ for Grenada, CA, please visit senioradvice.com/seniorscore/senior-living-in-grenada-ca.